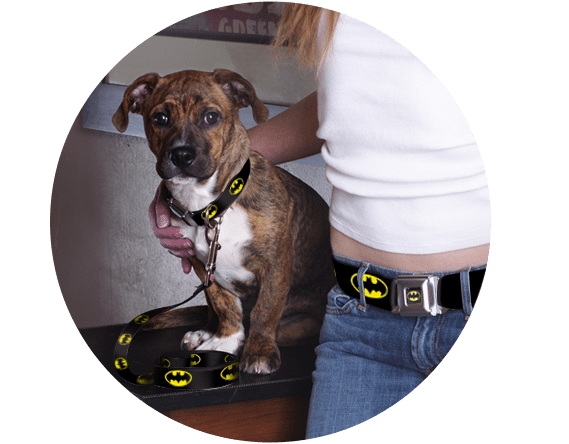 From Disney and DC Comics to simple patterns and prints, Buckle-Down pet collars and leashes offer an innovative design your pet will love showing off. Collars conveniently clicks on and off just like a seatbelt buckle. We know how important it is for pets to have a heavy-duty collars made of strong materials, which is why all of our seatbelt buckle dog collars are made with a durable strap and steel hardware. Available in a range of adjustable lengths, we have sizes for pets of all shapes and sizes.